Invisible Friendships: Voices – You Do Hoodoo? And all disheveled wandering stars. But he does know that he loves the way it sounds, its imagery. However, this phenomenon of literary friendship is not only limited to poetry; I count Frank Bascombe, the narrator of Richard Ford’s trilogy, a pal, and every time I finish one of the Bascombe novels it’s like saying good-bye to someone I’ll miss hanging out with. I’ll miss Frank’s voice. (Though rumor has it Frank survived Hurricane Sandy and will tell us about it in a new short story). I’ve recently run across a new companion, J.I.M. 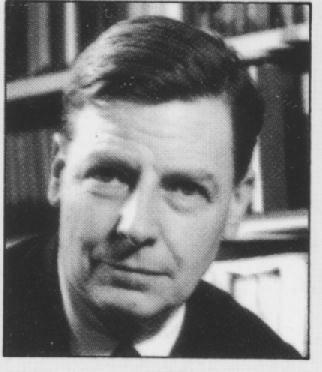 Stewart, whose Eight Modern Writers is the final volume of The Oxford History of English Literature, published in 1963. Now you might expect – or should I say one might expect – a critical volume sporting such a title to be as dry as unbuttered melba toast; however, reading Stewart is like listening to an erudite uncle with a whiskey in his hand and a barb in his throat. Indeed, it’s as if we’re locked inside of Dedalus’s mind, and although an interesting place, we sometimes find ourselves beating our fists wishing to get out. As it turns out, Stewart (1906- 1994) was a novelist himself, and in a less serious pursuit wrote over 50 detective novels under the pseudonym Michael Innes. At any rate, I’m very happy to be spending this week in his company. This entry was posted in poetry and tagged Dr. Paul E O'Brien, J.I.M Stewart, Joyce, Yeats. Bookmark the permalink.